One in every 103 children in the UK will be homeless this Christmas, a new study has found, further revealing the scale of the country’s housing crisis. 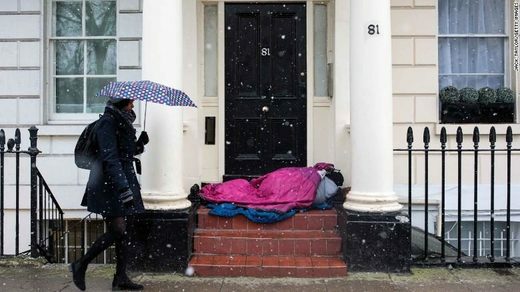 A total of 131,000 children are now estimated to be homeless — around 50,000 more than five years ago, or a rise of 59% — according to an analysis of government statistics by homelessness charity Shelter. Compared with the end of 2017, 3,000 more children are believed to be homeless — as well as the small number of children sleeping rough, this also includes those living in insecure temporary accommodation. These calculations mean that an average school in Britain now includes five homeless children. In London, where the crisis is at its worst, there is an average of 28 homeless children for every school.